English bulldog Zsa Zsa (main picture) was awarded the title of the World’s Ugliest Dog at this year’s competition, held at the Sonoma-Marin Fairgrounds in Petaluma, San Francisco, on Saturday. Zsa Zsa’s owner Megan Brainard, from Anoka, Minnesota, was chosen to receive the cash prize of $1,500 (€1,285) for winning the competition, which has received significant media coverage in the past few years. 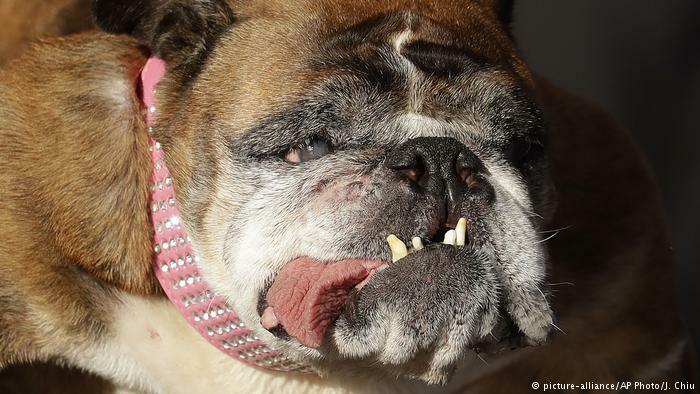 The organizers of the World’s Ugliest Dog competition aim to promote dog adoption.